Za bor architects had complete freedom in this project as customers had known the bright style of the workshop before, and wanted to get the interior in the certain za bor aesthetics: laconic, while complex, full of geometric details. Therefore, the client’s design brief just consisted of a list of functional areas, the number of rooms and the colour scale of the future interior (based on 3D models and later samples). 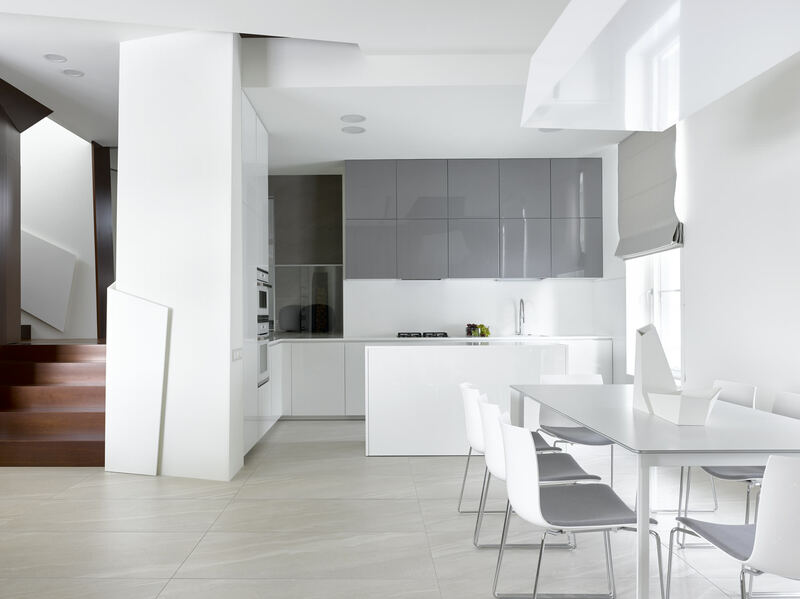 The key feature of the project is the space of the existing solid-cast house, which customers purchased a long time ago. The house was built on a complex terrain plot with level difference. In addition, the house had a complex configuration and a nonperfect layout, which in plan looks like a pentagon. To make the living room large and bright, some walls were removed, including one supporting wall on the second floor, which was replaced by a heavy beam. Four windows were removed or moved for better insolation, and several skylights added. 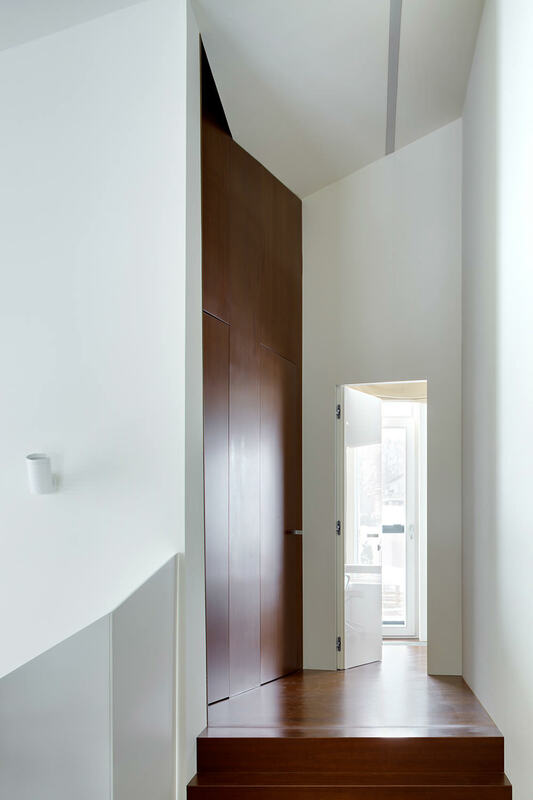 In the double-light zone of the living room on the first floor the sofa had to be «turned inside out» — to use the disadvantages of planning for the benefit of the interior. This was modular design corner Tufty-Time sofa (B&B Italia design by Patricia Urquiola) — one part of which was deployed to the media zone, and the second part — to the fireplace and high panoramic windows, so the sofa is not located inside as usual, but outside. 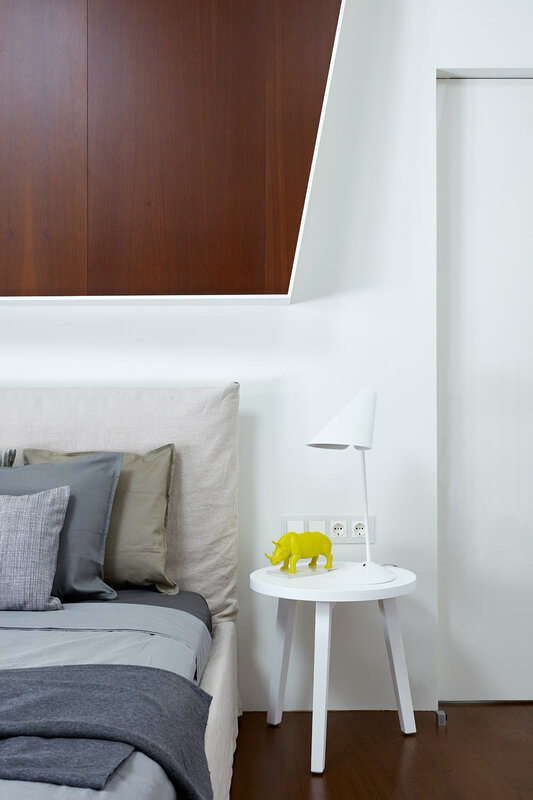 No matter how original the furniture is, the dynamism of space is formed by architectural details. 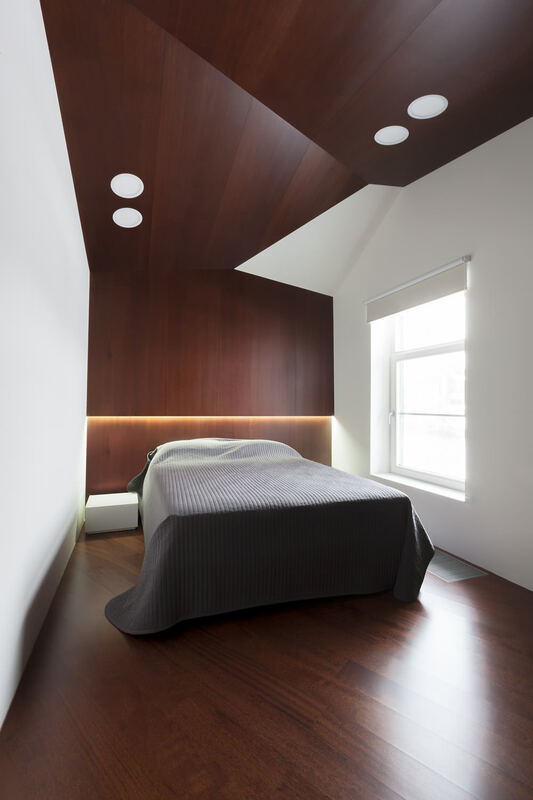 In this project the rhythm is set by the contrast of two colours in the surfaces lining — bright white and saturated brown. 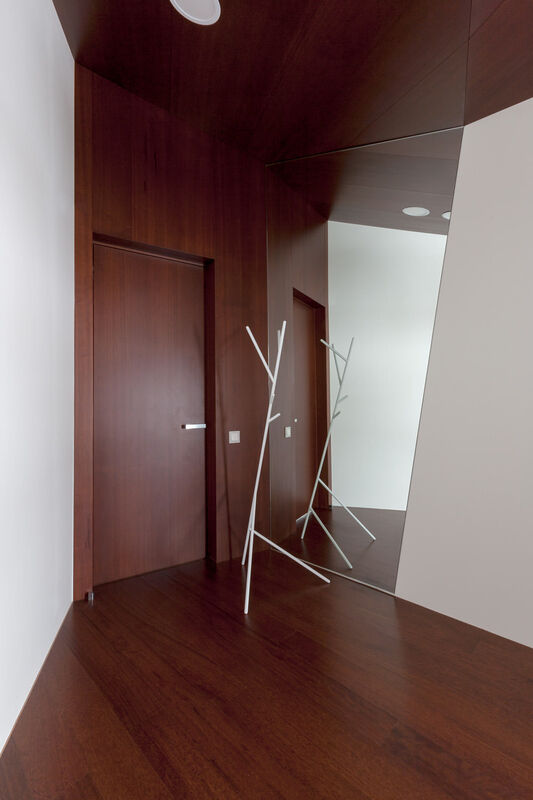 A part of the floor and the staircase has iroko colour, the walls are made of iroko tinted oak-tree, and this chocolate «tape» cuts into snowy surfaces, forming corners and broken lines. Gray and violet interspersions appear in the role of additional colours, without interfering the struggle of the «two elements». 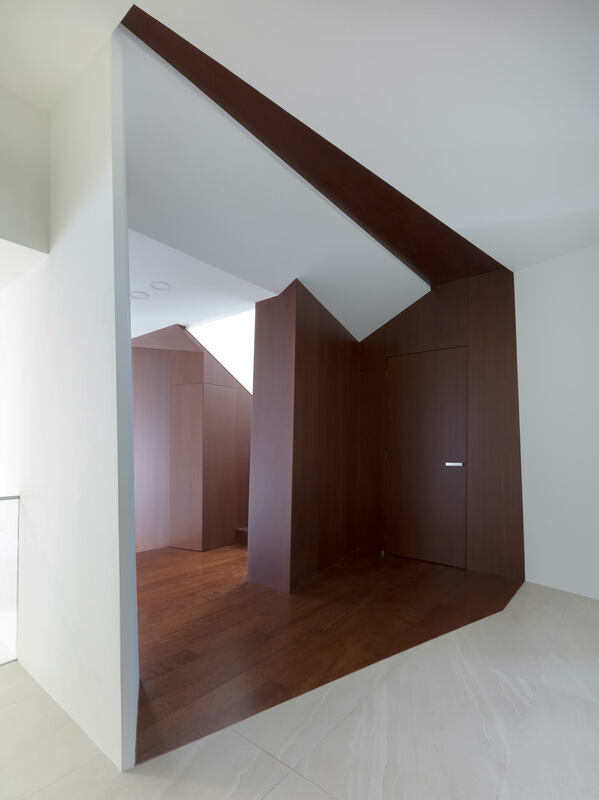 According to the architects the motive of angles, appear in all projects of the bureau, and is dictated by their inner sense of harmony and the constructive features of a particular space. Za bor signature style is formed by numerous details. 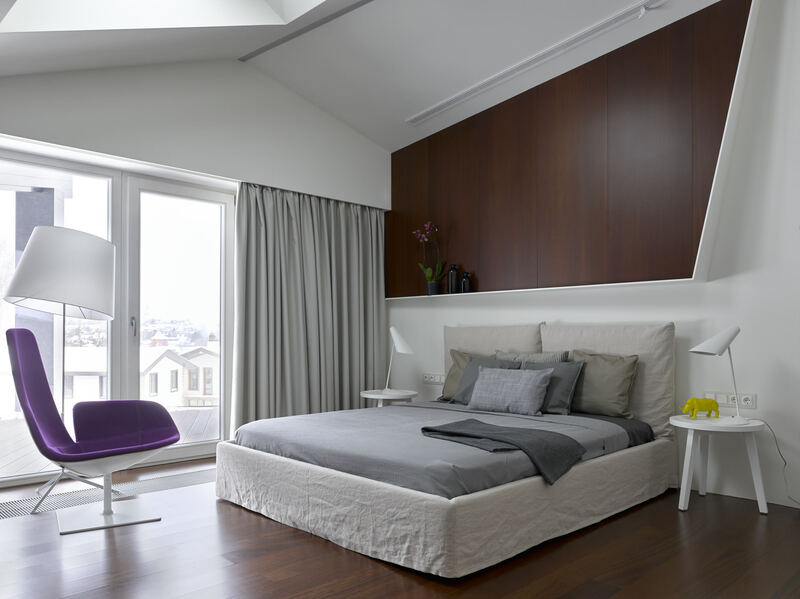 Architects develop furniture and furnishings for all their projects. Functional objects remind works of contemporary art. A fireplace in the living room is remarkable. Wood rack, firebox, and chimney form a single structure. The main material is painted white metal refractory paint in as plaster would not withstand high temperatures. 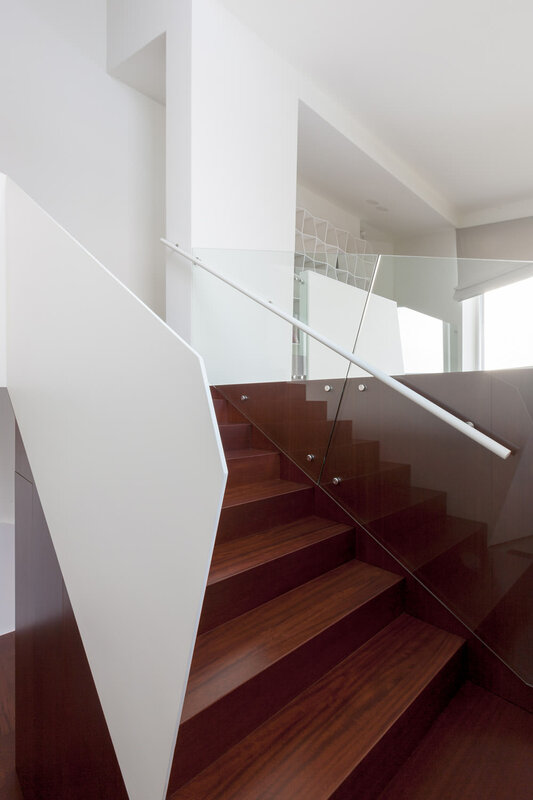 The staircase is also interesting: it combines the iroko massif, glass and steel. Fences are from heavy metal sheets, which require special fixing methods, and the ladder is structurally tied to the capital beams. 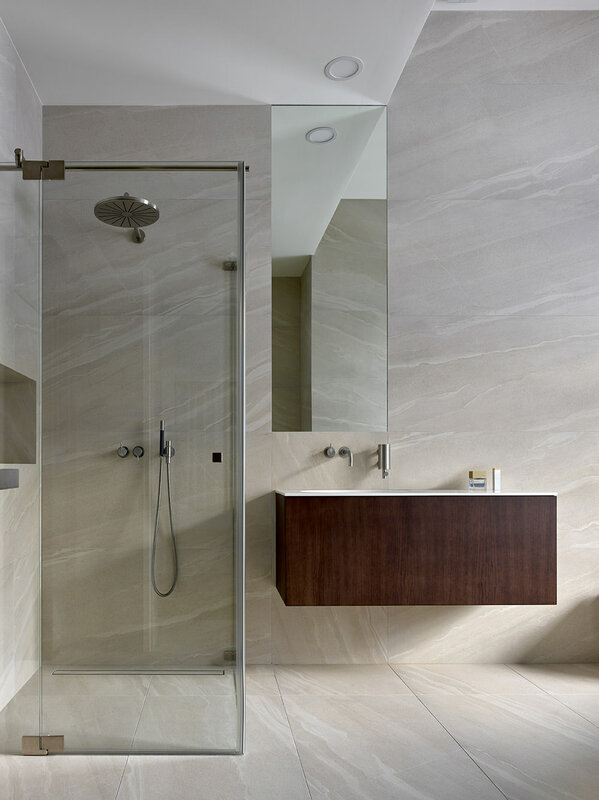 Another important feature in this project is a convenient space. All elements are organized to be as comfortable as possible. At the same time, our task is to make the interior maximum attractive — this, of course, forms the mood and condition of the people there. 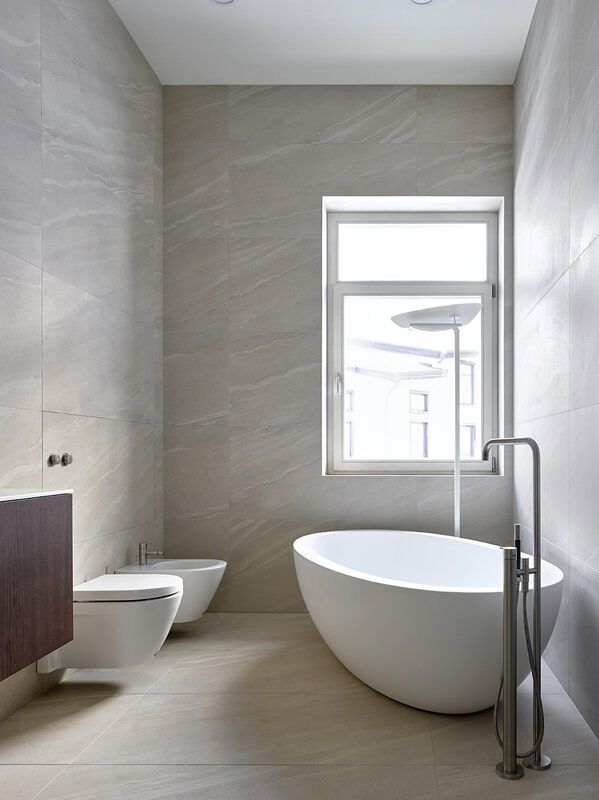 It is also important that the house is suitable for both privacy and relaxation, and for holidays, communication with family and friends — all sorts of activity.